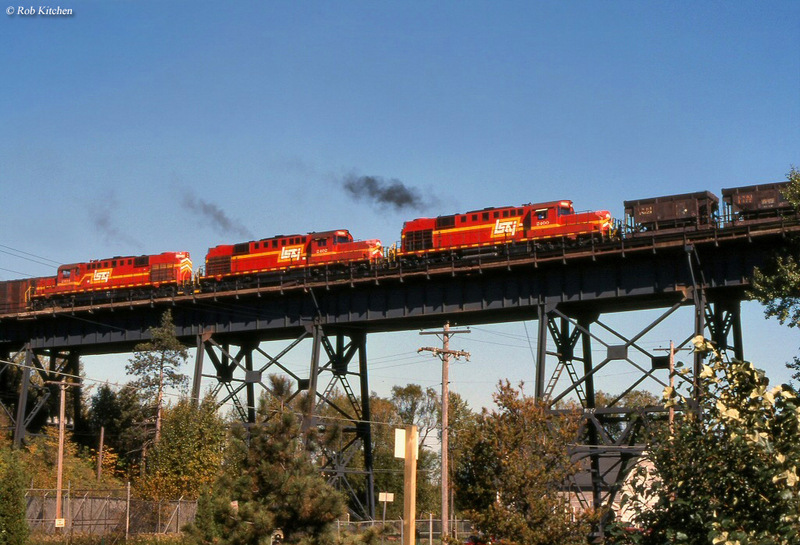 The Lake Superior & Ishpeming Railroad (reporting mark, LSI) is a Class III short line located in Michigan's Upper Peninsula. 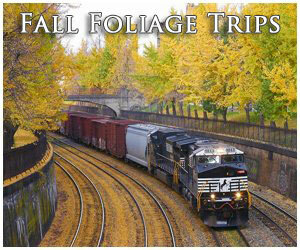 This region was once rich with railroads and iron ore that crisscrossed the region to tap its natural resources. 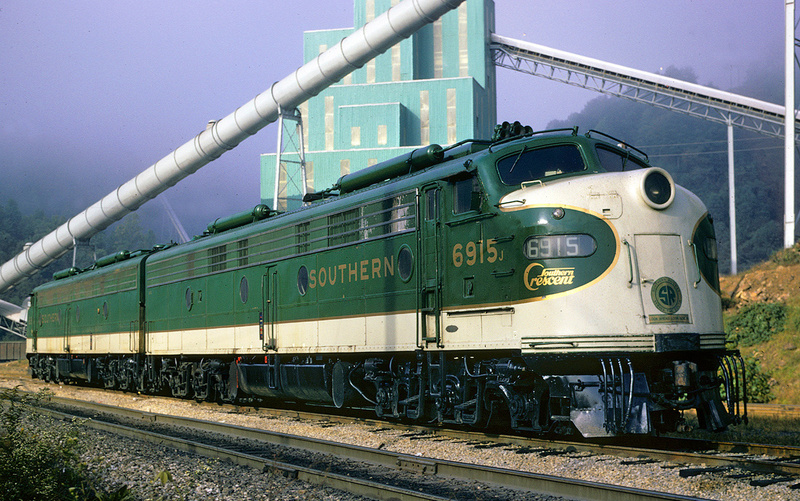 The largest names here included the Milwaukee Road, Soo Line, and Chicago & North Western. However, smaller carriers also found a bountiful niche including the Copper Range Railroad, Escanaba & Lake Superior, and Lake Superior & Ishpeming. The LS&I's history began during the early 1890's as a local venture although its success was thanks to Cleveland-Cliffs Iron Company became involved a few years later. At its largest the railroad never reached 200 miles and subsisted primarily by handling iron ore and timber products. 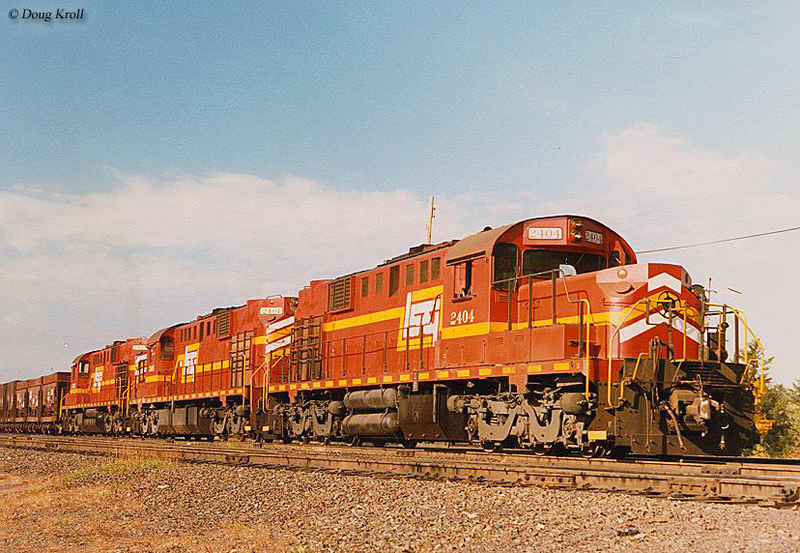 During the diesel era it became a "railfan hotspot" since it operated a fleet of classic, first-generation models manufactured by American Locomotive. Fame again found the company when it purchased a batch of second "U-boats," a General Electric design. 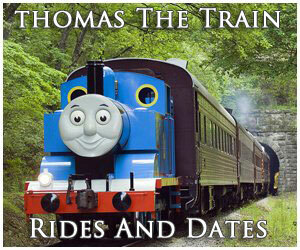 Today, none of these are on the roster although the railroad remains a division of Cliffs Natural Resources. Many branches and secondary lines have been shed over the years and the LS&I currently operates from the Ishpeming area to Marquette. The LS&I was a rather low-key player in the U.P. 's iron ore industry and even today continues quietly going about its business. While the big roads handled most of the product, ironically, LS&I is one of the last remaining railroads still operating here in its original capacity. In his article, "U-boats In The U.P." from the September, 1999 issue of Trains Magazine, author and historian Steve Glischinski notes the railroad was the idea of local Ishpeming attorney George Hayden conceived an idea to construct a route from Marquette to Ishpeming for the purpose of competing against the region's established systems; Chicago & North Western; Duluth, South Shore & Atlantic (Soo Line); and to a lesser-extent the Chicago, Milwaukee & St. Paul (Milwaukee Road). 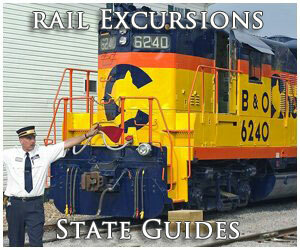 In 1893 the Lake Superior & Ishpeming Railway was established for this purpose. Shortly thereafter the project received a major from the Cleveland-Cliffs Iron Mining Company, which took over the project after a rate dispute with the DSS&A. With strong financial support the railroad began construction in December of 1895. After less than a year a 21-mile route was completed from mines located near West Ishpeming to Marquette. This included its own ore dock along Lake Superior (A newer dock was completed in 1912 and remains in use today; it is 1,250 feet length, 60 feet wide, and rises 75-feet above the water. The structure contains 200 pockets capable of holding 250 tons or ore, each for a total capacity of 50,000 tons.). More Reading Other Ore Haulers In The U.P. With the entire operation free from the big carriers' coercion and control, the little LS&I proved quite a successful venture moving some 1,036,000 tons in its first year. After just a few years of service Cleveland-Cliffs eyed expansion, acquiring the Munising Railway in 1900. This system was disconnected from the LS&I network but offered considerably more trackage, running from Munising the lake's South Bay to Little Lake (providing an interchange here with the C&NW), a distance of 38 miles. By 1906 it was extended an additional seven miles to the west at Princeton. The LS&I subsequently wasted no time in establishing through service via its new acquisition. It quickly formed a subsidiary known as the Marquette & South Eastern which was tasked with constructing a new line from Lawson, along the Munising Railway, to Marquette. This extension opened in 1902 and was then pushed even further north along the lake shore to serve timber interests in the Big Bay area. Following these efforts a series of corporate restructurings took place: first, in 1911 the Munising Railway and Marquette & South Eastern merged to form the Munising, Marquette & Southeastern (MM&SE). 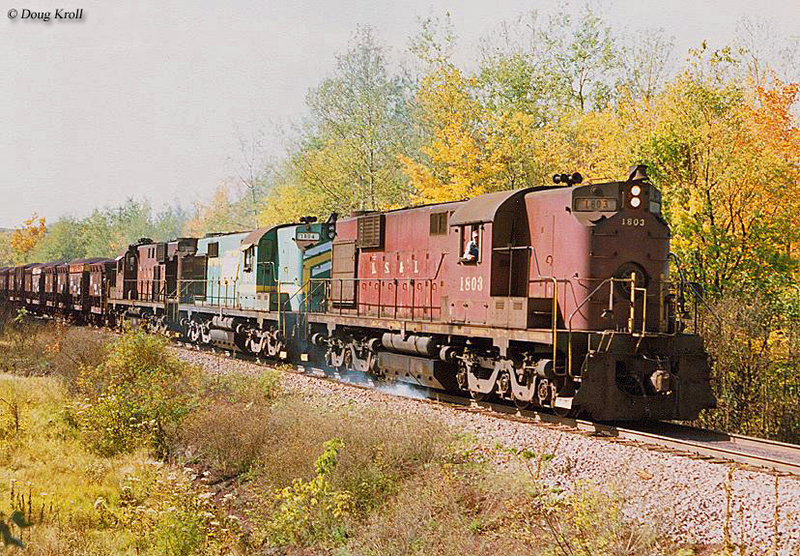 Second, the MM&SE merged with the LS&I on August 17, 1923 to create the Lake Superior & Ishpeming Railroad. 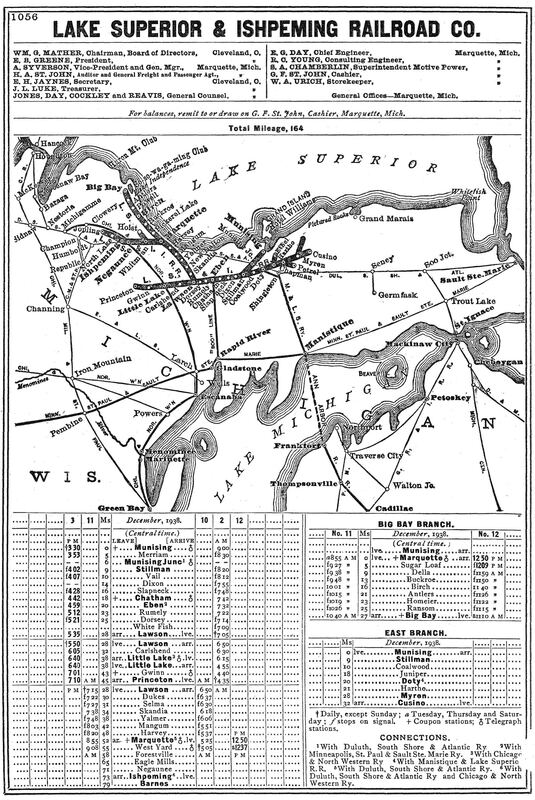 This largely constituted the LS&I system; its only other notable component was a series of secondary branch lines extending eastward from Munising to rural points like Chapman, Cusino, Myren, and "Camp 15." This trackage, totaling 32 miles, was laid down solely to serve pulpwood and timber products. Most was abandoned in 1979 when traffic in this area played out. However, over the next few decades short segments were added here and there, all in an effort to grow ore business; Tilden was reached in the 1920's and the line west of Ishpeming was extended as far as Humboldt and Republic to serve mines located there. At its peak the LS&I boasted a 170-mile network and even installed centralized traffic control (CTC) during the early 1960's in an effort to improve efficiency as new mines came online. In his article, "Ore Hauler" from the December, 1954 issue of Trains Magazine, historian Jim Scribbins points out that the LS&I's main shops were situated at Presque Isle (Marquette) while loaded ore movements working east stopped at small yards along the way to make pickups. At the mines, cuts of 10 to 12 cars were the norm, usually handled by Consolidations. The road's steam era motive power fleet was rather small wheel arrangements, as one might expect. Despite the heavy nature of the product, 2-8-0's and 2-8-2's comprised the majority of LS&I's roster. 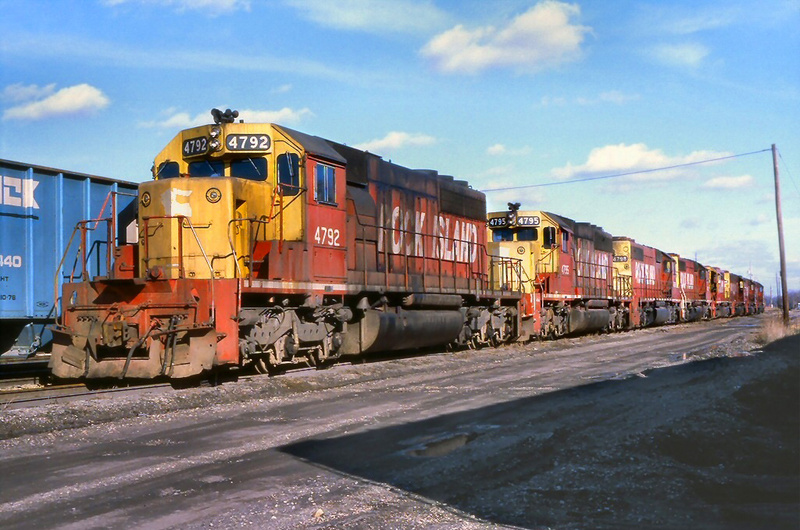 The largest included pair of 2-10-2's that were purchased secondhand from the Hocking Valley Railway (a Chesapeake & Ohio subsidiary). From this point, ore was graded near the ore dock before being loaded onto awaiting ships. Interestingly, at about the time the railroad reached its peak mileage (handled more than 3.5 million tons of ore annually during the 1950's) cutbacks were initiated. 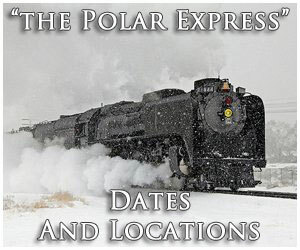 The first involved discontinuing remaining passenger services, which occurred during the late 1950's along the Munising - Princeton section. This was followed by shuttering the Big Bay Branch in 1958; a few years later in 1963 it was sold to a new a tourist line, the Marquette & Huron Mountain (it hosted trains until the 1980's when the trackage was pulled up). The next cutbacks occurred two decades later when much of the east end was removed in 1979. Today's LS&I has returned to its roots, operating about 40 miles situated between Marquette and Ispheming. * The Duluth & Northern Minnesota was logging operation based in Knife River, Minnesota. It was abandoned in 1919 allowing the LS&I to purchase its only two Mikados. Today, #14 is owned by the Lake Superior Transportation Museum in Duluth. ** Cambria & Indiana Railroad. These two Mikados were purchased by the LS&I in 1930. *** Chicago River & Indiana Railroad. Thanks to Steve Glischinskij's article "U-boats In The U.P." from the September, 1999 issue of Trains Magazine, and Jim Scribbins' article, "Ore Hauler" from the December, 1954 issue of Trains Magazine as primary references for the above roster information. 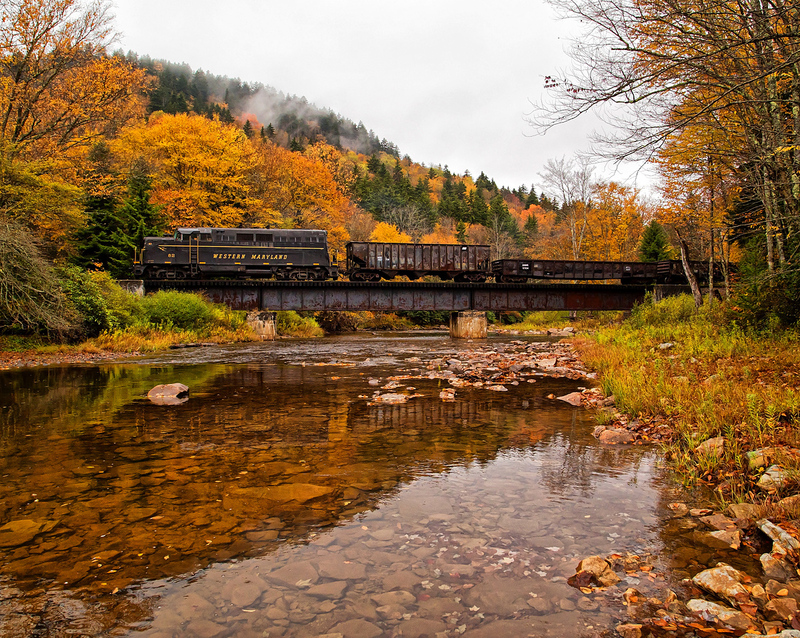 The railroad has had an interesting and fascinating history while it continues carrying out a quiet existence. 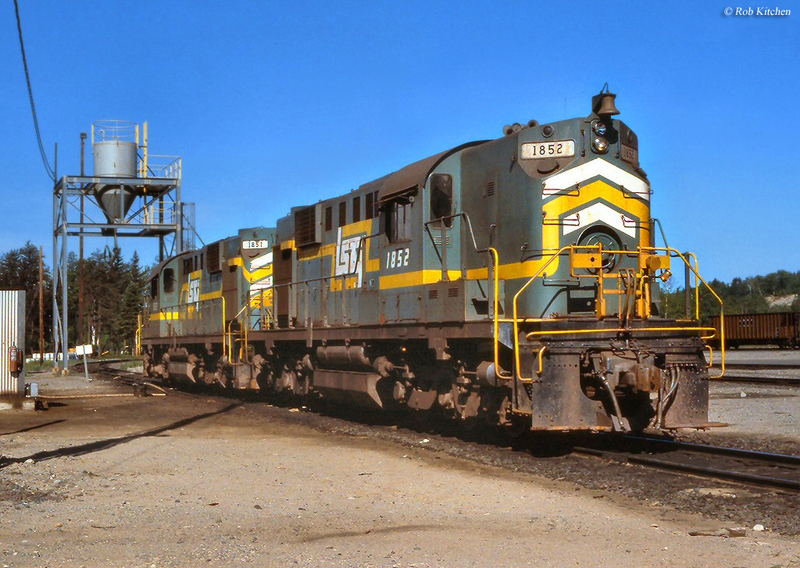 Its diesel fleet began with American Locomotive products then transitioned to second-hand power from General Electric, originally built for Burlington Northern, which comprises its roster today. This includes a batch of U30C "U-boats," a model which is becoming increasingly rare to catch in service. After all of these years the company has not even bothered to repaint the locomotives, which continue to wear their former BN "Cascade Green" livery with LS&I markings. Another unique angle for the railroad is that its ownership has remained unchanged over the years. Despite a slight name change, Cliffs Natural Resources continues to run the Lake Superior & Ispheming today. The railroad's future appears secure but with a U.S. steel market ever in flux it is difficult to say for just how long the need for natural iron ore will be needed. For now, though, you can continue catching this interesting short line in service.